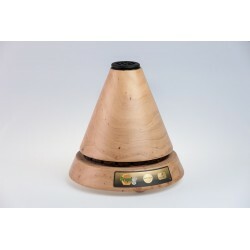 Family-owned business from the northern Italy, produces products of Italian propolis such as vaporizers, diffusers, throat sprays, extracts, chewing gum and candy. This kit comes with an adult air mask and tube which can be used with all vaporizers except the Propolina (Baby Bee) and the Propolair Car. This kit comes with a child's air mask and tube which can be used with all vaporizers except the Propolina (Baby Bee) and the Propolair Car. 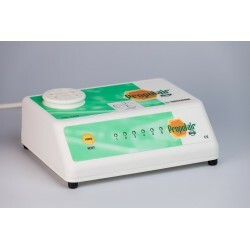 FAQ - Frequently Asked Questions regarding Propolair diffusers and vaporizers. Download the PDF in the description below. 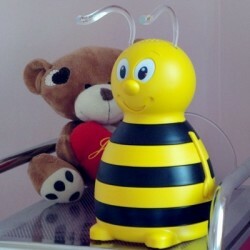 Protect your loved ones with "Propolina", our honey bee propolis vaporizer. Besides sanitizing the room, kids will also benefit from inhaling propolis, boosting immune systems, alleviating respiratory ailments and keeping them healthy! 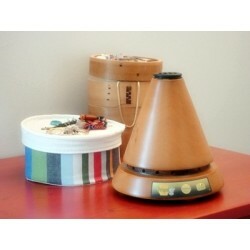 Clean and sanitize your air with Propolis Vaporizer / Diffuser, Model A1. It's natural disinfectant properties destroy microbes, air pollution, even cigarette smoke! Fits easily in a suitcase, providing added protection from environmental conditions in hotel rooms! It's a real bargain! Freshen the air with this low-profile Model A2. 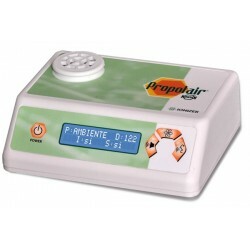 The built-in ionizer enhances the volatile fraction of numerous Propolis flavonoids, sanitizing and purifying the air. It easily fits in a suitcase and very practical when traveling, providing added protection from environmental conditions in hotel rooms, etc. 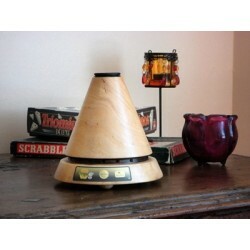 Plug it in, turn it on and breathe... the all-natural sanitizing, Model A3, diffuses bee propolis into the air. The most powerful unit, Model A3 travels well, fits easily into a suitcase, protecting you from environmental conditions abroad. REFURBISHED and READY TO USE with a 2 year Warranty and 1 refill cartridge ! 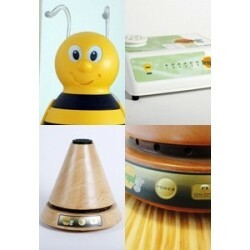 The Model A3 sanitizes the air by diffusing bee propolis into the air. This most powerful unit also travels well, fits easily into a suitcase, protecting you from environmental conditions abroad. Ideal for basements, family rooms, offices, conference rooms and schools. Plug it in, turn it on and breathe... Made entirely of wood, Model L1 diffuses flavonoids into the air, sanitizing and filtering the air of microbes, spores and air pollution. Plug it in, turn it on and breathe... Model L2, with an esthetic, natural wooden cone, releases powerful propolis flavanoids into the air. 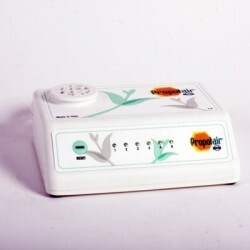 Combined with a built-in negative ionizer to sanitize and purify the air, 24/7, it can treat rooms up to 376 sq ft (35 m2). An ecological solution to "Green Clean" home or office with the natural disinfecting properties of propolis. Model L3, with its integrated fan is the most powerful of all the vaporizers. Recommended by doctors worldwide for patients with asthma, bronchitis and as a therapeutic solution for those suffering from autoimmune diseases. 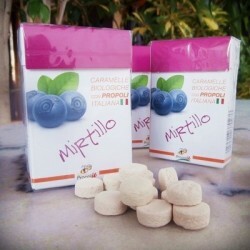 Organic blueberry and propolis lozenges, made with your kids in mind, as well as their health! It's candy with a conscience that slowly dissolves leaving a delicious flavor.